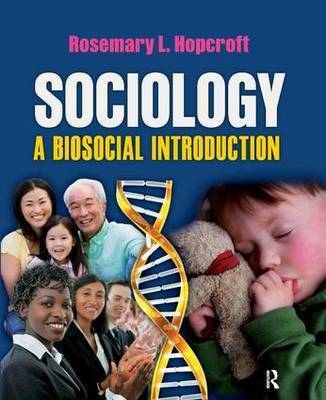 In an era of human genome research, environmental challenges, new reproductive technologies, and more, students can benefit from an introductory sociology text that is a biologically informed. 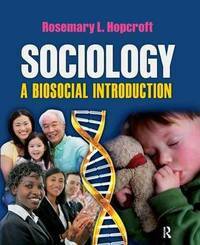 This innovative text integrates mainstream sociological research in all areas of sociology with a scientifically-informed model of an evolved, biological human actor. This text allows students to better understand their emotional, social, and institutional worlds. It also illustrates how biological understanding naturally enhances the sociological approach. This grounding of sociology in a biosocial conception of the individual actor is coupled with a comparative approach, as human biology is universal and often reveals itself as variations on themes across human cultures. Tables, Figures, Photos, and the author's concise and remarkably lively style make this a truly enjoyable book to read and teach. Rosemary L. Hopcroft has published in the areas of Comparative and Historical Sociology and Evolution, Biology and Society in journals that include the American Sociological Review, American Journal of Sociology, and Social Forces.